I'm stopping in today to share 2 vinyl projects I recently completed. 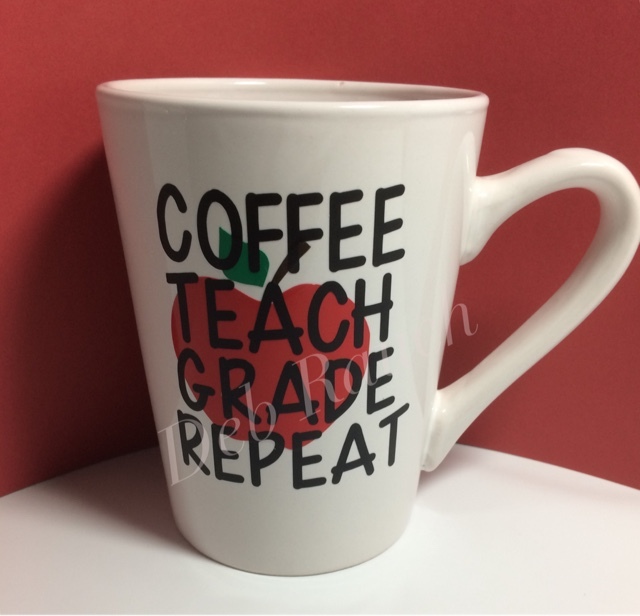 The first is a coffee mug which is perfect for your child's teacher for back to school! 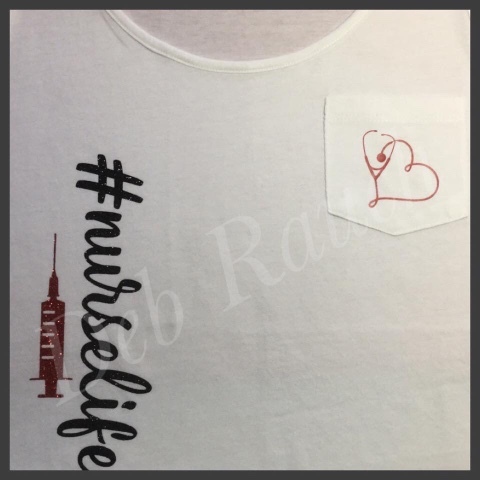 The second is an HTV tank top I made for a special nurse! These projects are quick and easy to do! If you need a quick gift, get out your vinyl and electronic cutter and you can be done in a matter of minutes! Hey there all you Scrappy Dew fans!! My 34th wedding anniversary is approaching, so I thought I'd make my husband a card to celebrate the occasion. 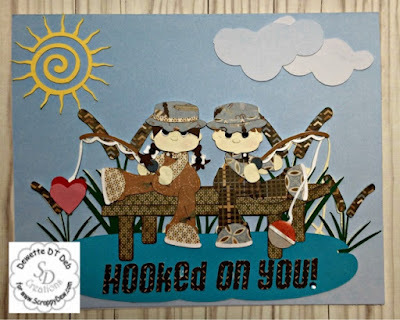 He is an avid fisherman, so I'm sure he will enjoy this card!! After all, it's made by his "perfect catch" haha. Hey!! Hope you all are keeping cool in this sweltering heat! Today I am sharing the cover page for my Ocracoke Island album. 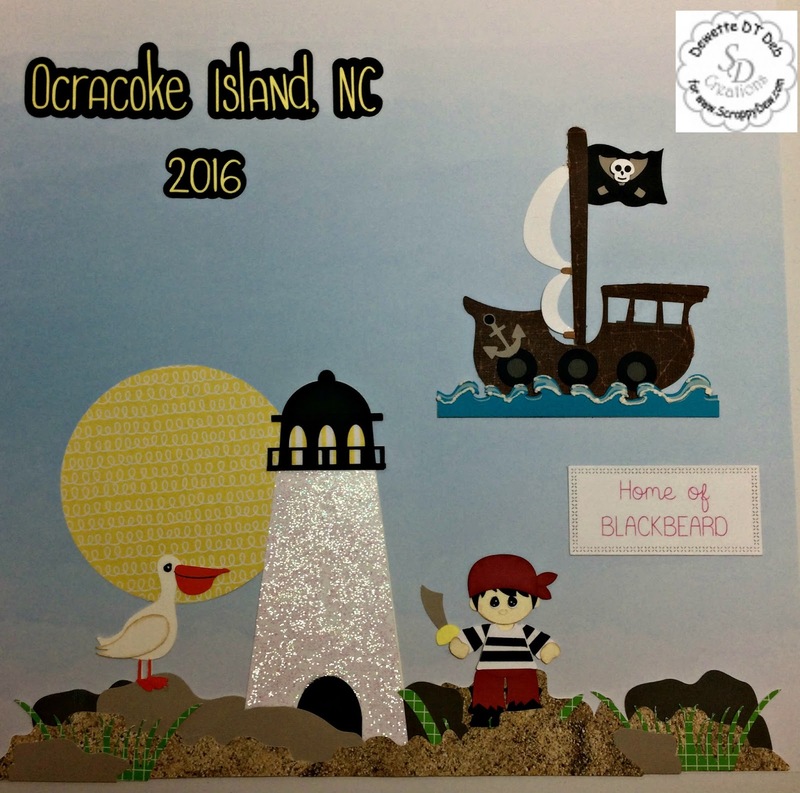 I replicated the Ocracoke Lighthouse, and added a pirate ship and a pirate because Ocracoke is the home of Blackbeard! The files I used for this project are Lighthouse and Pirates by Scrappy Dew Creations! The texture on the lighthouse was achieved by covering my cut with Faber-Castell Bead Gel. The "whitecaps" on the waves is Liquid Applique which I heated to make it puff up. And lastly, the cross-stitched die is by Gina Marie Designs. Hope you enjoy it as much as I enjoyed creating it! !